Words to improve your life, one day at a time. The affirmations in this book are medicine – antidotes to the toxins of our every day life. 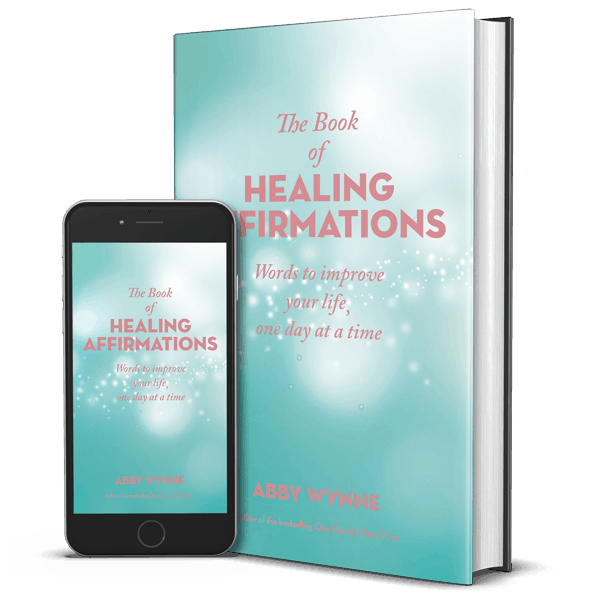 I teach you how to heal with affirmations, how to go deep and embody their wisdom and make them your own. This book can be a lovely companion to your healing process, if you go lightly with it, or it can be a powerful helper and guide, if you want to go deep. The links to buy online are below, I recommend Book Depository as they have free international shipping. The hardback feels so good to hold, and you can use it as an oracle too – just let the pages fall open where they will to discover the affirmation that you need, for now. 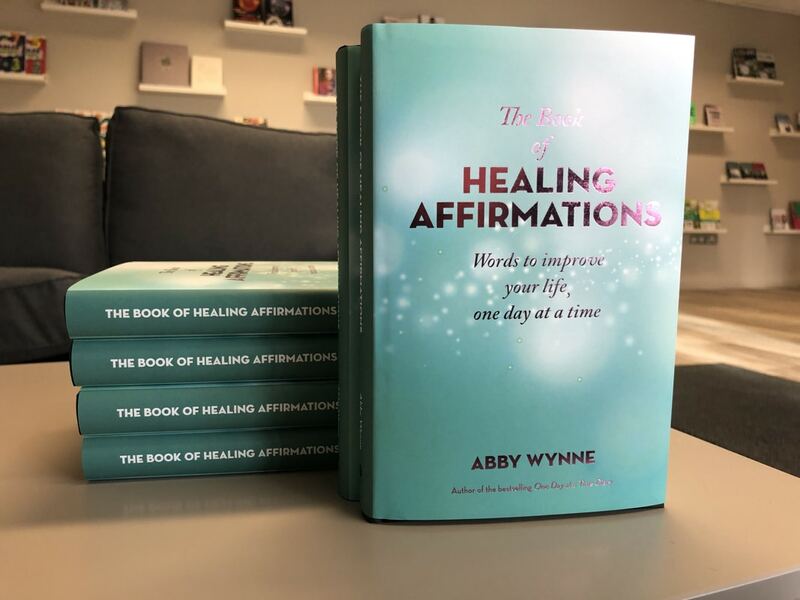 I have recorded 3 healing tracks to go with the book designed to help you come deeper into your body, so you can really connect into your inner wisdom and embody the energy of the affirmations. I have also created a bonus track called “Amplify your Inner Light” which helps you clear your energy and any blocks you may have to believing the affirmation that you have chosen to work with. Sign up for those below. This book is divided into 14 topics each containing affirmations for different needs such as emotional release, abundance, gratitude, acceptance, manifestation, relationships and personal growth. 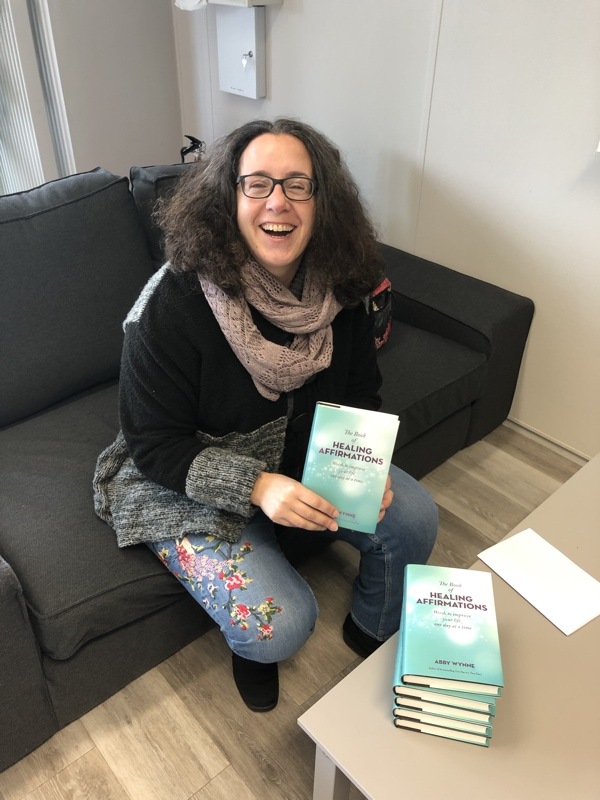 With guidance on how to cultivate a daily affirmation practice, The Book of Healing Affirmations invites you to re-invest in yourself and start a daily practice that empowers you to become the master of your thoughts and emotions, instead of allowing them to be the master of you. Track 1: Body Reconnection Exercise. 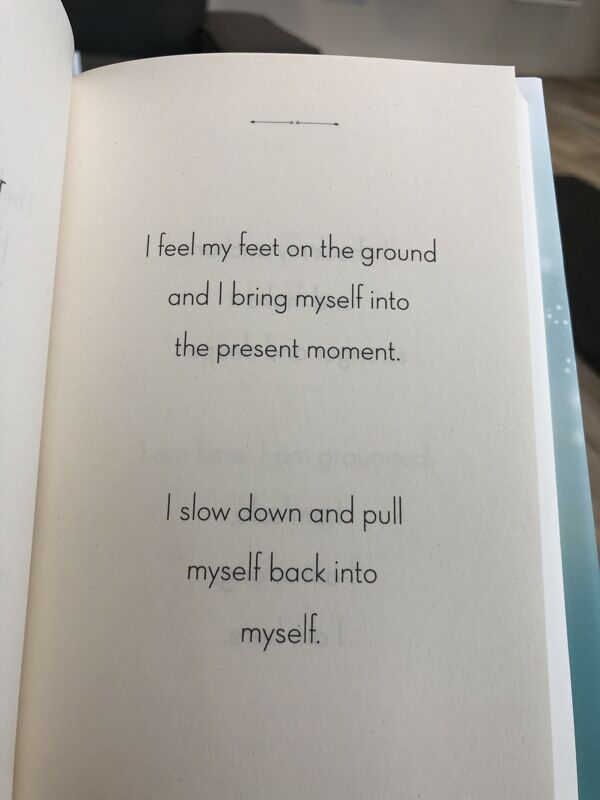 Take some time to really connect to your body so you can make the most of the affirmations in the book. Bring your energy back from past events, from things you’re worried about, or from relationships, so you can be more present in the moment, right here and now. Track 3: Amplify your Inner Light. Learn how to shine your inner light as bright as you can, so you can reconnect to the truth of who you are. I am so grateful to be lead to your work Abby, and to experience your books and online offerings. I am kind of lost for words at just how powerful this work is. Thank you millions for your healing and for empowering others to do so. Your One Day at a Time Diary was invaluable to me, it helped me more than you will ever know. Thank you so much for everything that you do. Greetings from California! I just wanted to thank you for everything that you do, every time I read something that you write or post on social media my mood changes and I really feel myself healing. I am so happy I found you and I can’t wait to read this new book!